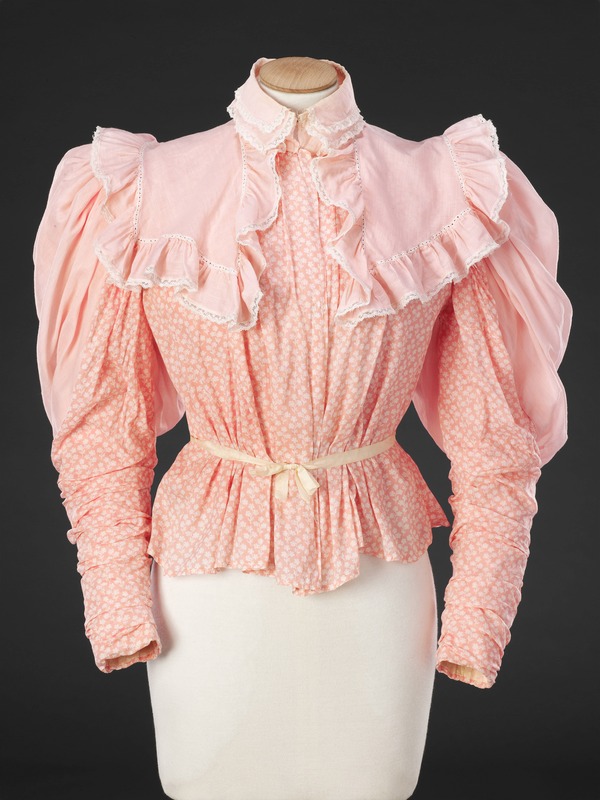 The blouse, a loose bodice worn independently of a matching skirt, became a staple of a woman’s wardrobe during the 20th Century. 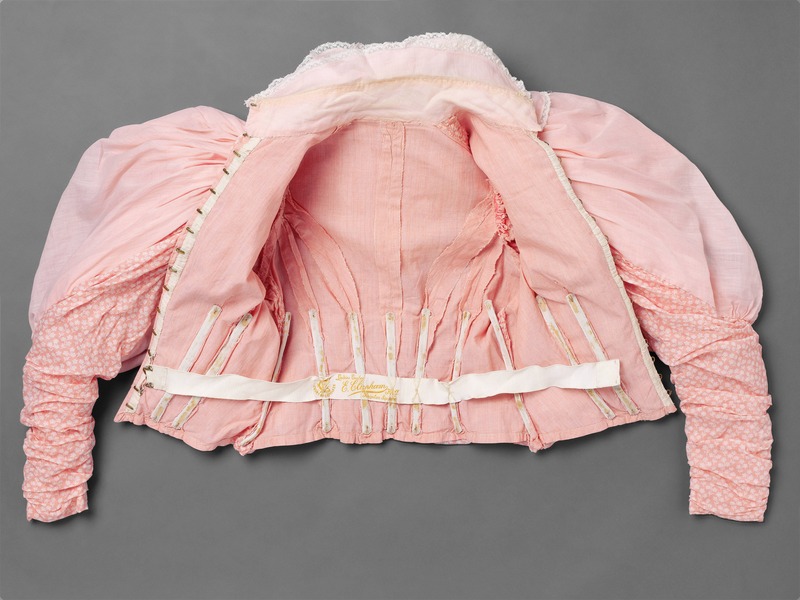 It first gained popularity in the mid 19th Century, becoming widespread by the 1860s as a loose garment frequently made from white muslin, decorated with contrasting designs of braid, cord or embroidery. 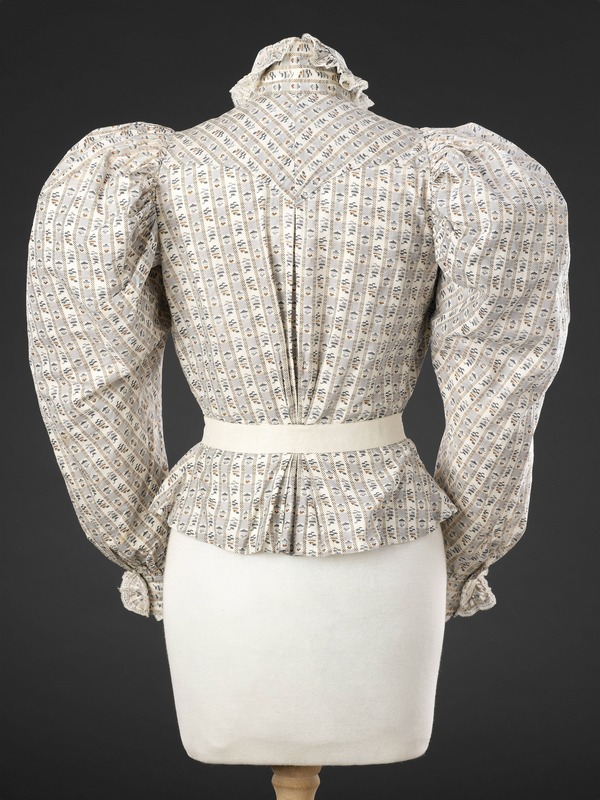 As new opportunities in education, sport and the workplace opened up to women in the later decades of the century blouses became indispensable, worn interchangeably with plain skirts, and, if made of cotton and unlined, were easy to launder. Untrimmed examples worn with masculine looking neckties and separate stiff collars, often supplied by men’s shirt makers, gave a business like appearance to students and office girls. 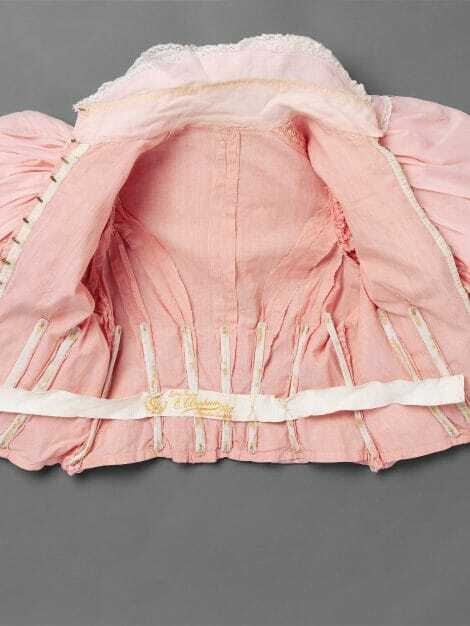 This blouse has a loose body held in check by a buckled band that would have been hidden under a belt or waistband; it is unboned , and its fine cotton lining follows the shaping of the garment exactly. The front fastens with four mother of pearl buttons, and the cuffs are also buttoned with long plackets, making the blouse very easy to put on and take off. 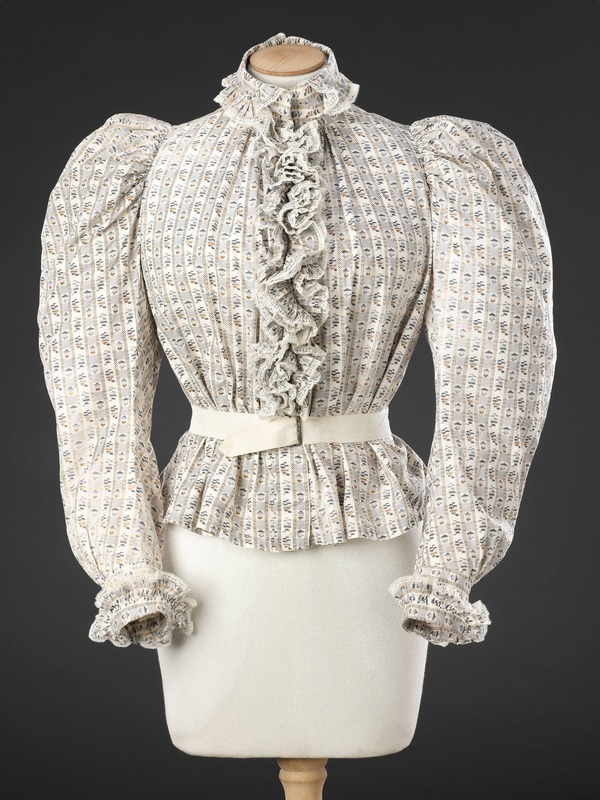 A contemporarybodice shown in Additional Images appears very similar in character, made of printed cotton with a loose body and frills edged in narrow lace. The maker’s name on the inner waistband (E. Chapham, Kingston Square, Hull) suggests that this was originally part of a dress. 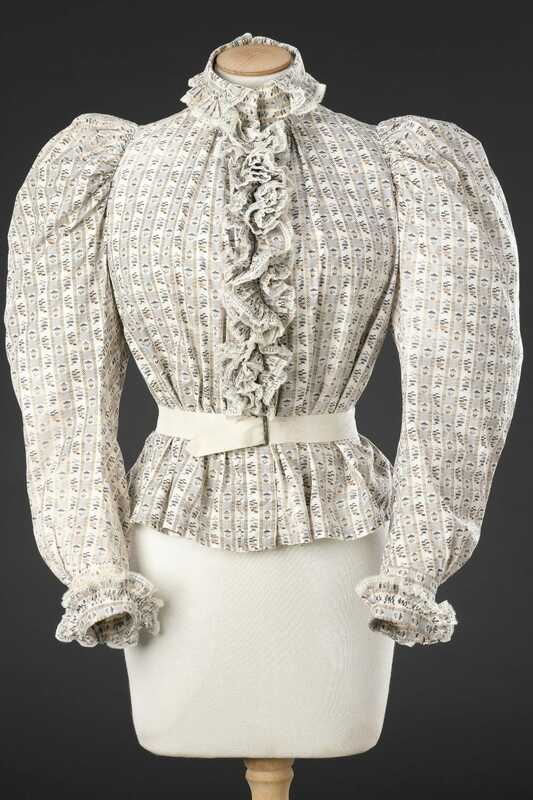 Its boned, fitted lining fastening with four hooks and eyes and tight lower sleeves with no opening bely its loose appearance and make it a much more restricting garment than the blouse.